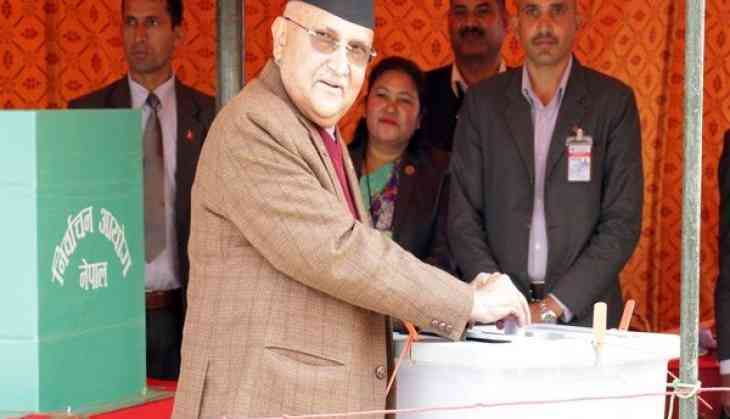 The formal announcement of unification between Communist Party of Nepal (Unified Marxist-Leninist) CPN-UML and CPN (Maoist Center) to form Nepal Communist Party (NCP) was made on May 17. According to the Kathmandu Post, the announcement was made during a press conference which was organised at City Hall in Kathmandu. The conference was addressed by KP Sharma Oli, Pushpa Kamal Dahal and other senior leaders like Madhav Kumar Nepal, Janardan Sharma.